QUILTsocial Giveaway 219: Banyan Batiks Recess Fabric Bundle! 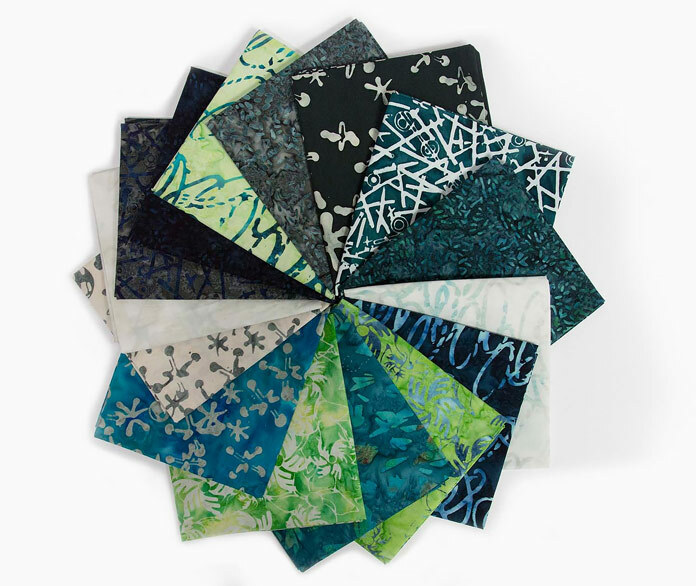 Home » Northcott » QUILTsocial Giveaway 219: Banyan Batiks Recess Fat Quarter Bundle! …a stunning prize bundle with 15 fat quarters from the newest Banyan Batiks collection, Recess! The Recess collection plays on the whimsical and nostalgic feel of the games played by children, making this line fun and lighthearted. The designs in this collection are inspired by paper planes, hopscotch, pinwheels, X’s & O’s, pet rocks, jacks and hula hoops. Need some ideas on what to make with Recess? Follow along with Sarah Vanderburgh on QUILTsocial.com on August 6th through August 10th as she shows you how to create a fun and easy project using this fantastic collection! For more information visit www.banyanbatiks.com. This contest ends at 11:00PM on Sunday August 12th. Get your entries in NOW! Love the fat quarters and would love to win them. I love to try out new piecing and quilting techniques on placemats. Even if you don’t love the results, they are useful! And they make unique useful gifts. These are just beautiful…thanks for the chance!! I love the colors, I love batiks, but I didn’t like recess as a kid or as a teacher. As a quilter, I love this collection of Banyan’s “Recess”. Those are lovely batiks as well as being my favourite colours. I commented on “7 excellent tips for a productive sewing marathon” for the giveaway. I absolutely love the range of colours in this collection and the whimsy behind it! There is NO WAY to log in with email, which takes me to your page with all the social media choices, nothing else for a Step 2 to enter. I choose to NOT go to social media, therefore I am not allowed to enter this contest? Some of us are wanting to be loyal customers, but this makes it impossible to be a part of a contest which appears to be skewed in favour of those who are on Facebook, Twitter, etc. Hi Jill. When you visit https://quiltsocial.com/quiltsocial-giveaway-qs219/ and log into the contest with your email, the first contest entry option in the list is “Leave a blog post comment”. When you click on that option and then click on “I commented”, you’ll be entered in the contest. I really enjoyed your article in May about 11 essential tips for machine quilting, lots of useful information.